Maulana Abul Kalam Azad was a renowned journalist of his time. Disturbed by his provocative articles, the British Government decided to deport him off Calcutta. Despite of his house-arrest and imprisonment, Maulana Abul Kalam Azad continued to write against the anti-people policies of the British Government. He was elected as CongressPresident in 1923 and 1940. Despite being a Muslim, Azad often stood against the policies of the prominent Muslims leaders like Muhammad Ali Jinnah. Azad was the first education minister of independent India. On February 22, 1958 Maulana Abul Kalam Azad passed away. Maulana Abul Kalam Azad was posthumously awarded, Bharat Ratna, India's highest civilian honor, in 1992. Maulana Abul Kalam Azad was born on November 11, 1888 in Mecca, Islam's main center of pilgrimage. His forefather's came to India during the reign of Mughal Emperor Babar, from Heart, Afghanistan. Azads were the descendent of eminent Ulama or scholars of Islam religion. His mother was the daughter of a rich Arabian Sheikh and his father, Maulana Khairuddin, was a Bengali Muslim of Afghan origins. Khairuddin left India during the 1857 Sepoy Mutiny (Indian rebellion of 1857) and settled in Mecca, where he met his wife. In 1890, He, along with family, returned to Calcutta (now Kolkata). hile extending his support to Mahatma Gandhi and non-cooperation movement, Maulana Azad joined the Indian National Congress in January 1920. He presided over the special session of Congress in September 1923 and was said to be the youngest man elected as the President of the Congress. 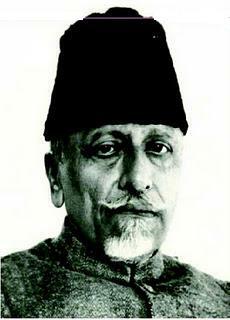 Maulana Azad emerged as an important national leader of the Indian National Congress Party. He also served as the member of Congress Working Committee (CWC) and in the offices of general secretary and president for numerous occasions. In 1928, Maulana Azad endorsed the Nehru Report, formulated by Motilal Nehru. Interestingly, the Motilal Nehru Report was severely criticized by number of Muslim personalities involved with the freedom movement. As opposed to Muhammad Ali Jinnah, Azad also advocated for the ending of separate electorates based on religion and called for a single nation committed to secularism. In 1930, Maulana Azad was arrested for violation of the salt laws as part of Gandhiji's Salt Satyagraha. He was put in Meerut jail for a year and a half.